Digg founder Kevin Rose, after confirming that he’s leaving Diggnation at the end of this year, is now announcing his new show. It’s fforward – pronounced “forward” – and you can sign up to be notified of the launch now. The new show will be launching in a couple of months, Kevin tells me, “as a weekly live streaming tech/geek culture show.” Rose says he’ll be the primary host of fforward, but will have guests on to debate topics and demo new products. Maybe someone should tell Revision3, which is still claiming no final decision has been made on Diggnation (see update to our post last week) and slammed us for having “incorrect information” when we wrote that Rose was leaving the show. 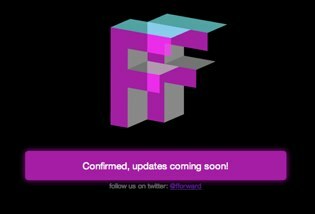 The good news for them – fforward will be on Revision3 as well. You can follow fforward on Twitter here.